February crafts are always a ton of fun! These February preschool crafts are the perfect mix of Valentine’s love and winter creativity! We love doing February crafts! 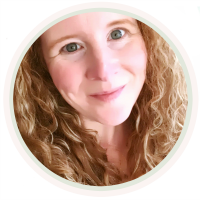 This time of year, you can still pull in simple winter themes, but you also have the super bonus of Groundhog Day, Presidents’ Day, and Black History Month that you can use for inspiration. There are soooo many craft ideas to choose from! 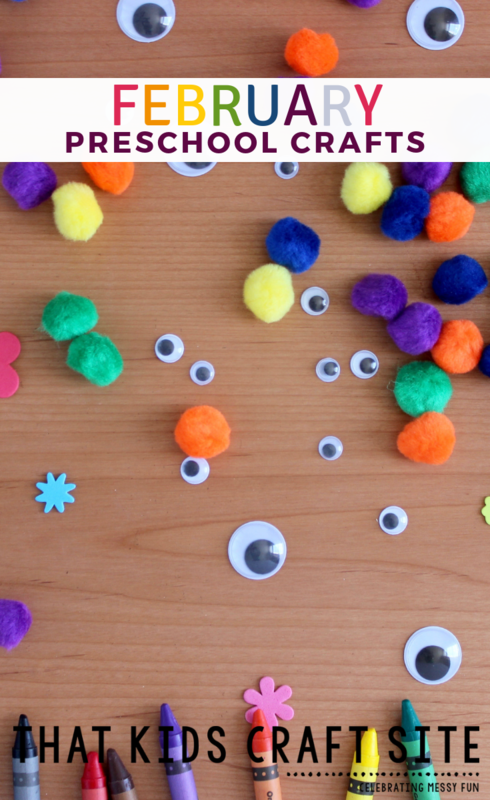 Here are some simple February craft ideas to help your preschoolers get creative. They’re a perfect fit for the month of February! Draw and color a simple groundhog shape on construction paper, then cut out, leaving a tab at the bottom to fold toward the back. Have kids draw a simple grass scene on a half of a paper plate, then attach the tab to the edge of the plate with tape or glue. Does your groundhog see his shadow? Use flashlights or other lights to experiment with shadows. It’s so much fun! Read a story about Harriet Tubman and how she used the North Star to help guide slaves to freedom on the Underground Railroad. After you have finished, have kids use glue and glitter to create their own North Star on dark construction paper. Hang them up in their room or the classroom as a reminder of the bravery of those looking for freedom. We love, love, love this craft! Trace and cut out multiple handprint shapes in different skin tone shades of paper (or use colors that are as close as possible). Here’s our affiliate link the pack of paper that we use to make the handprints: Multicultural Construction Paper. Glue the different colors all around a pre-made wreath or use a paper plate with the center cut out. Be sure to talk about all of the wonderful and beautiful skin tones that our friends have, and how our skin colors may be different but we’re all the same inside. We used to live in Phoenix, Arizona, so my boys would get super excited about painting with ice even when it was hot outside. Let’s face it, in February the weather in the Sonoran Desert is still pretty darn mild during the day! To paint with ice, add paint to an ice cube tray, cover with plastic wrap or foil, then insert popsicle sticks into the center of each cube. Place the tray in the freezer to firm up. When you are ready to paint, give your child a sheet of paper, then let them use the ice cubes to paint a masterpiece. As it melts, it will leave paint behind with a very fun and interesting texture! Mess alert! Between the melting and the paint, this craft can be pretty darn messy! I recommend doing it outside on a mild day or laying down a couple of plastic tablecloths (one on the table and one on the floor) before you begin. Smocks are a must! February crafts can be as helpful as they are adorable! It’s a long month for your backyard bird friends, so make them a new birdfeeder. Tie a long string to a pinecone that you have found outside, then help your preschooler add a thick layer of peanut butter or shortening to the cone. Roll the pinecone in birdseed until it is thoroughly coated. Hang your birdfeeder outside in view of a window and see who comes by to have a snack! For Presidents’ Day, make a money craft! Most of our money has images of past presidents, but kids can create their own currency using their own image or one from their imagination. Give them small, rectangular pieces of paper or some leftover Monopoly money and some examples from real money and let them come up with their own money system. Who knows? Maybe one day their faces really will be on the dollar as an influential leader! Learn more about Abraham Lincoln this Presidents’ Day! After talking about Abraham Lincoln and sharing how he grew up in a log cabin, making a log cabin is a fun extension activity. This February craft can be done very easily! Glue craft sticks to paper to make the house and cut out a door, window, and roof from construction paper. Feel free to add other accents to complete your scene! Show your preschooler how to use tape to create simple shapes on paper or cardstock, then paint over the whole image. As they pull away the tape, their designs will reappear in the color of the original paper. Little ones always find this so magical and fun! For February try a snowflake, snowman, or even a pair of skis or ice skates! The sky is the limit! If you’re looking for Valentine’s Day crafts, try some of these heart crafts for kids! There are so many fun, heart shaped crafts to try! 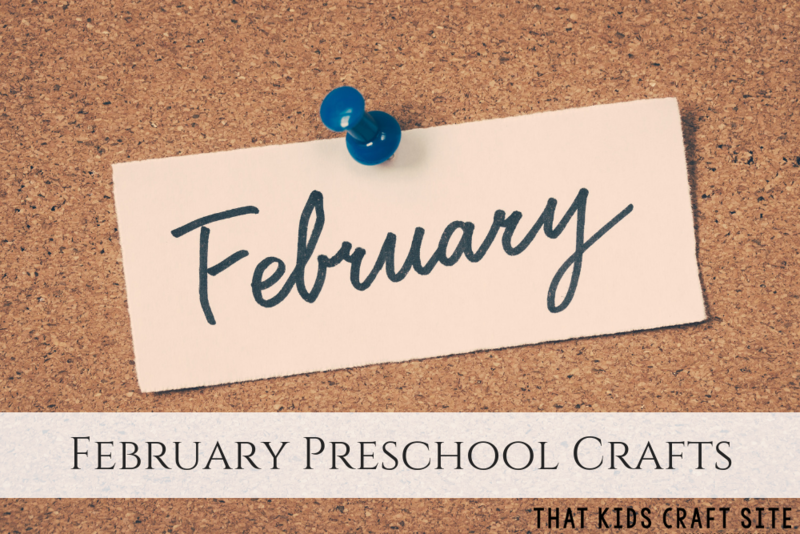 There are so many great lessons to tie into February crafts! 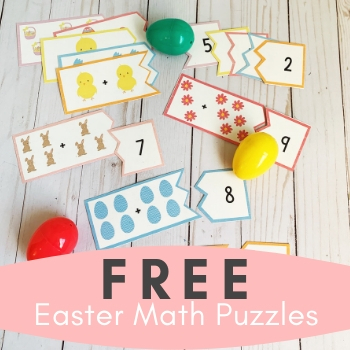 Give some of these a try or let them inspire you to come up with something fun and fitting for your little ones’ skills. Enjoy your February craft time! Looking for a year’s worth of crafts for preschoolers? Check out these preschool crafts for each month of the year. 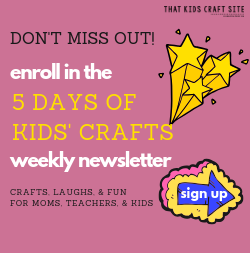 They’re filled with fun activities for holiday crafts, everyday crafts, and more! Show Us Your February Crafts!